This entry was posted in Conservation, Historic Environment, Landscape, Local Community, National Park, North York Moors and tagged Early modern history, Historic England, Historic features, Local History Group, Mediaeval, Scheduled Monument, Volunteers by North York Moors National Park. Bookmark the permalink. And of course many trods are present but partially hidden along many of our roadsides, which they may predate. – I’ve probed for the one between Robin Hood’s Bay and Hawsker, the remnants appear to be just a few flags now on the kerb edge as you leave Hawsker to RHB, but a few years ago one of the utilities was digging along that road an dug up two or three flags which were obviously of a trod. They never put them back, but I later probed much further along he road and discovered quite a length of stone several inches below the surface. In the 1970’s a farmer from Great Fryup told me he could remember horses being led over the George Gap causeway to Kirby Moorside, and told me that was the last time he remembered this happening. . I have seen two sets of flagged trods with dates carved on. One off Mayfield road/ruswarp has a date of 1905, but this is much eroded./damaged and another one near Whitby which was dated 1841. Over the years I’ve seen parts of trods damaged such as the one between Sleights and Glaisdale and recently the one between Hawsker and the Abbey. The former was reported to the park but the park authorities chose to take no remedial action – despite the fact that I’ve seen park working groups remove the turfs off the top of this trod. I appreciate that with the exception of the trod you write about, they generally have no protection, I cannot see why the park cannot do more – just because something doesn’t have legal protection doesn’t stop you doing more to protect them, in the same way you have no legal authority I assume, to remove trees from moorland, yet I’ve seen the park + volunteers) remove trees from the roadside, near Saltersgate,, and on the Strickland estate at Fylingdales. 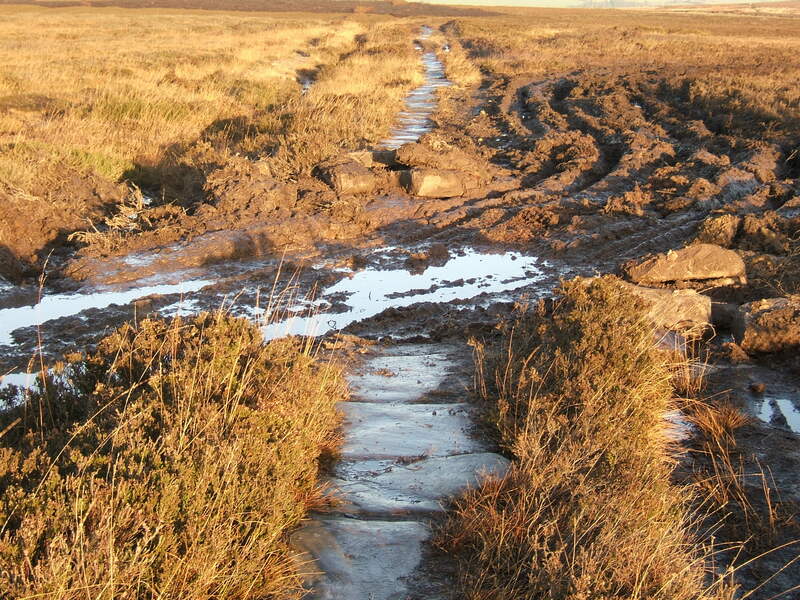 Looking after the National Park’s trods can be frustratingly difficult since they are so widespread across the landscape and are frequently found in locations where they are vulnerable, either at the roadside or along Rights of Way where they may be crossed by farm access routes. It is all too easy for small scale accidental damage to occur when trods are largely concealed beneath turf or when people don’t know that they are there, and this sort of piecemeal damage gradually erodes the character of these features which are such an important part of the Park’s landscapes. Although most have no statutory protection, we do take opportunities to raise awareness of the trods and where appropriate to remove the overlying vegetation to restore them to full view. 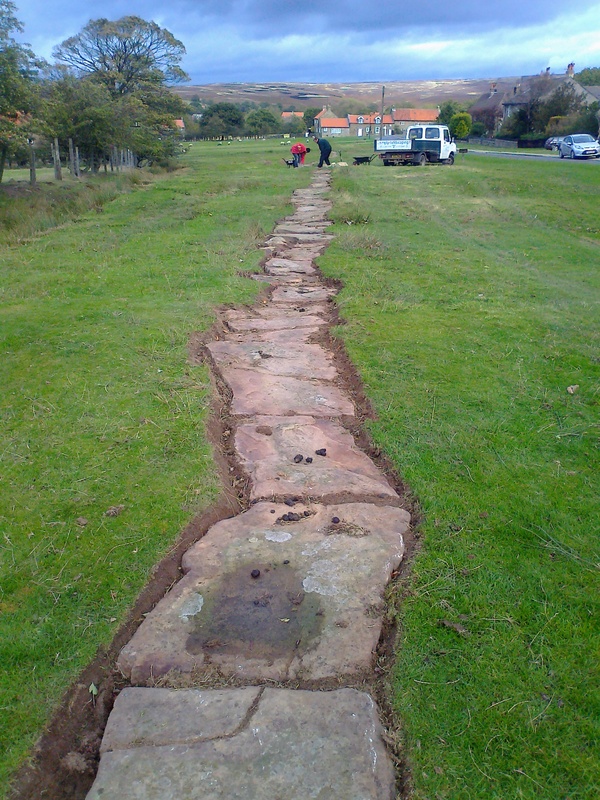 Unfortunately we don’t always have the resources to repair damaged sections of trod so our approach has been to raise awareness to try and prevent damage from taking place. Over the years we have provided information and advice to farmers entering into Environmental Stewardship agreements to make them aware of the trods crossing their land and their importance, and this will have secured the survival of some. We are currently working with the Highways department of NYCC to develop joint working which will put measures in place to preserve trods at the roadside and safeguard them from potentially damaging activities. 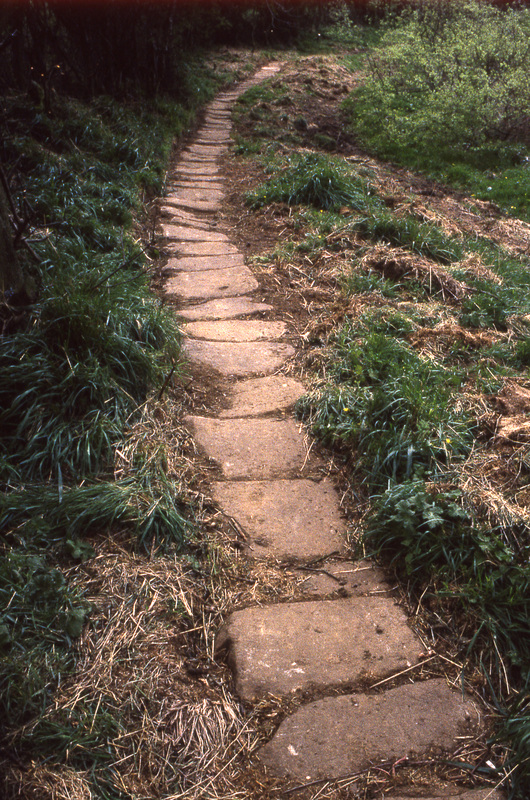 Inevitably some damage will occur to trods which have lain hidden for decades, if not centuries, and this is why we keep adding to our records whenever someone brings a new trod to our attention – the more we know about, the greater chance we will have of seeing more trods survive.